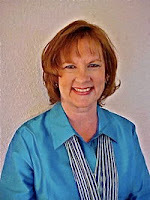 Janet Holm McHenry is the author of numerous books, including Daily PrayerWalk and PrayerStreaming. A high-school English, journalism, and creative writing teacher, she is the mother of four adult children. Janet has been prayerwalking for more than thirteen years and is the leader of her church’s prayer ministry. Find out more about the author at www.janetmchenry.com. Ask any busy, overworked woman what her goals are for this year, and spiritual, mental and physical health are likely to be at the top of her list. Yet physical health and spiritual growth often take a backseat to the urgent demands of grocery shopping and bill paying, time with family and friends and long hours at the office. Thirteen years ago author Janet Holm McHenry suffered from depression, weight gain and exhaustion. Then she began a prayerwalk routine that not only transformed her life but also profoundly impacted the lives of those around her. Learn about the simple practice that changed her life in PrayerWalk: Becoming a Woman of Prayer, Strength & Discipline. This tenth-anniversary edition includes an epilogue letter from the author, a 30-day prayer and fitness challenge, a guide to organizing a community prayerwalk and a Bible study and discussion guide. Perfect for the overwhelmed mom, the business woman on the go, or anyone wanting physical and spiritual renewal, PrayerWalk includes heartfelt, genuine glimpses into the author’s journey as well as practical advice on everything from walking shoes and stretches to how and what to pray and finding a prayerwalk partner. This was my prayer two years ago. All of those requests and more have been realized in my life, all because of one thing: prayer-walking. Virtually overnight I changed from a woman who couldn’t get out of bed to—Okay, I’m going to be brutally honest with you, dear reader. I am still an ordinary Christian woman. I probably look like the person in your high school class who was voted Most Likely to Become Your Kids’ English Teacher, thirty years later. That’s because that’s exactly who I am! Let’s just say you won’t ﬁnd my face and body on the cover of an exercise video. But God has truly changed me, and I am convinced it’s because I now spend an hour or more ﬁve days a week praying as I walk. I call it prayerwalking—spending time with God in adoration and intercession as I walk the streets and highways of my community. Stop right now! I know what you’re thinking: I don’t have a free hour for prayer and exercise. Hey, I don’t either. It’s true. If you were to examine my life, you’d see I don’t have the time. I work fulltime—teaching English, no less, which most secondary teachers agree is the most demanding position because of the mountains of writing assignments to grade. Craig and I have four children, with one still young enough to need Mommy’s nearly constant attention. 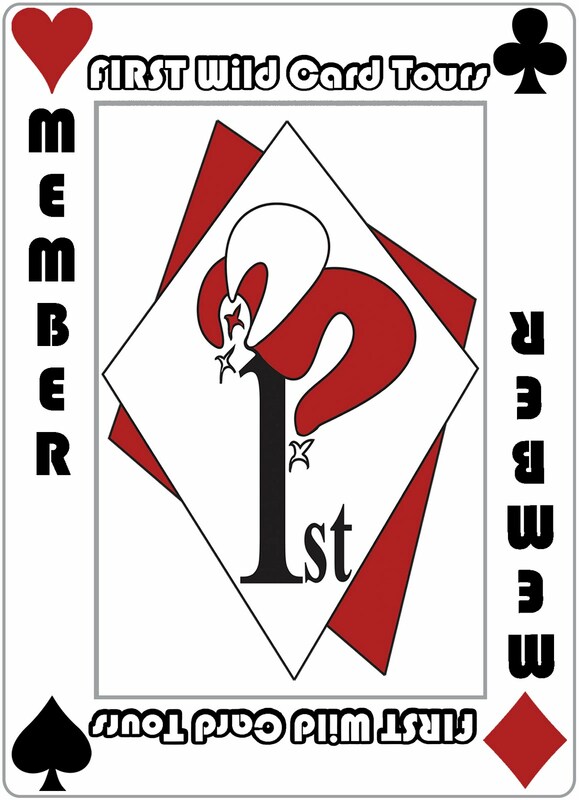 All have been active in sports, lessons, and other activities. I have a part-time business as a writer, I teach Sunday school, and I have very little housekeeping help. But I am making time for prayerwalking—an hour or more daily—because God has used it to transform me. I wrote this book to tell you, from my heart, how and why I started prayerwalking and the reasons I believe that if you make time for prayerwalking, God will change you as well. Besides reading my personal story, you’ll learn how you can pray more like Christ—our Personal Trainer in prayerwalking—and how prayerwalking can energize your prayer life. Prayerwalking has changed how I view my time and priorities, and I’ll help you ﬁnd time in your life for this new discipline. I’ll also show you why walking while you pray is a good idea, and I’ll provide a wealth of walking tips that can help prevent soreness before you head off on your own. Join me as I share my story. Oh, that d word: discipline. I’ve never liked it, personally. We have met on occasion—with diets, short runs on exercise programs, and a prayer journal attempt or two. But life interfered with our acquaintance, and routines always fell by the wayside. Discipline implied torture, restriction, sameness. I mean, remember piano scales? Up and down, up and down. You never got anywhere, it appeared to me. Discipline simply stiﬂed my spontaneity. Why, if I were committed to various routines of discipline, I couldn’t visit a friend or take my daughter shopping or watch the ducks ﬂying the wrong way. Just two years ago I was falling apart. I bit my ﬁngernails to their nubs with worry about ﬁnances (we had two kids in college). My weight was taxing my back, and my knees were giving way as I walked down stairs. I was force-feeding my soul with a few daily devotionals, but my prayer life was about zilch. Each night I gulped down a couple of St. John’s Wort tablets to combat depression. I ate too much, I was tired all the time, and I felt as if I were a few days behind on every list of my life—from my load of essays at school to my laundry at home. I was an undisciplined mess. I knew what I needed. I needed to exercise to get my strength back again. Could I exercise in the morning? I didn’t really have time—I usually shut off the alarm around six each morning, exhausted, and turned over for an extra half-hour of rest, then rushed through my morning routine and headed to school an hour later. How could I give up even more sleep for exercise? With kids’ sports schedules and lessons, faculty meetings, and few consistent baby-sitters, regular exercise after I taught school all day was impossible. There had been spells in my life when I was more active—aerobics and weightlifting classes, swimming laps at the pool. But classes always end, and our community pool is only open during the summer months. Besides, I didn’t want to leave my kids once I was home from work. I also needed to pray—at length—to give over the worries of my life to God. A book I read many years ago that still pierces me is Could You Not Tarry One Hour? by Larry Lea. Tarry an hour? It seemed like a Grand Canyon leap of time in my going-going-gone schedule. However, seeking God, interceding for others, and staying in his presence were becoming the deepest desires of my heart. I truly wanted to strengthen my relationship with the Lord of the universe by spending more alone time with him—without the phone ringing, without the kids interrupting, without the washing machine calling my name. I’ve read over thirty books on prayer. Every single one recommends praying in the early morning hours. I had tried that over the years—getting up earlier than the family and creating my own prayer closet of sorts. Minutes into the routine, my head was usually ﬂopping. You have probably guessed that I’m not a morning person. Actually, I’m not a night person either. I tell my high school students that most days I have one good hour—lunch hour (which is really only forty minutes for me)—and that afterward I’m ready for a nap. It’s true! However, I did stick to an early morning routine once. I thought of praying while I exercised, and for several months I propped my Bible on my NordicTrack and prayed through the Bible in the wee hours. That actually worked until my knees began to trouble me. Then the routine and I went our separate ways. My NordicTrack is now a great clothesline and keeps watch (wash?) in my ofﬁce over my usually messy desk. I needed a workable plan, a resolution. I believe in New Year’s resolutions, but my new year starts in September, when I return to teaching. All summer long I sleep a little later and mosey through my household chores and writing tasks. It’s a leisurely pace. When school starts, I begin living by ringing bells again, so it makes sense to make my resolutions then. When Labor Day passed that year, I felt pulled to become the woman of discipline I had never been. My past history could not have been a solid résumé for my success: Every day of my life seemingly had begun a new diet or a new exercise routine or a new prayer practice. Somehow my resolve that Sunday night in September felt different. I would do it this time. I would get up an hour earlier and tarry with God. Well, maybe tarry was not quite the right word because I had decided to spend my hour prayer-walking. I would walk for an hour, praying at the same time— meeting two sincere desires of my heart with one activity. I loved the idea of doing two things at once. As a working mom, I always make multitasking a personal objective. Every morning I read the newspaper literally upside down as I lean over and blow dry my hair. I open my mail on the way home from the post ofﬁce. I grade papers while listening to my daughter read at night. Although I may not be a model of organization, I love efﬁciency! Prayerwalking seemed a perfect solution to the two largest missing links in my life. I had never before considered walking alone in the dark, early morning hours. The problem isn’t that it’s unsafe. In our town of just over a thousand people in a mountain valley in California, many not only leave their homes unlocked but keep their car keys in their ignitions. No, I’d not considered walking on Main Street because it didn’t have sidewalks and because huge logging trucks sweep through on their way to the lumber mill. However, a few days before I made my resolution, brand-new sidewalks sculpted of brick and cement and brand-new lighting made our few blocks of downtown look like a fairy tale town. Elsewhere people walk in their local mall before opening hours. We have no mall in our town, but I decided that our half-dozen blocks of twinkly-lit Main Street would be my mall—my prayerwalking course. At 5:20 the next morning I woke up moments before the alarm, turned it off, and rolled over. The List began speaking to me. “You’re too tired; give yourself a few more minutes in bed.” “It’s probably too cold; why don’t you walk this afternoon when the sun is out?” “Remember all those dogs? They’re waiting for you!” “Bogeymen hide in the bushes!” “Your knee hurts; you’d better wait until you’re in better shape.” The List battered me for a few minutes until I remembered: I had not only made a physical-ﬁtness resolution; I had also made a spiritual-ﬁtness resolution. Right then I realized that discipline involved another d word: decision. I could decide to be disciplined. I soon discovered that the decision to become disciplined had to be made daily (yet another d word.). Every single day I prayerwalked would be another decision, another step, toward discipline. That ﬁrst day was no easier, no harder than any other. It was just a decision: Would I be a disciplined woman, for my own beneﬁt, for the beneﬁt of my family, and for the glory of God? I could not ﬁx the physical and emotional pains of my life, but I could decide to meet God each morning while I walked. After all, he wanted to be my Personal Trainer for becoming a woman of prayer, strength, and discipline. Some people have walking buddies. Others, like Oprah, pay someone to cheer them through a workout. I knew that in this new calling, prayerwalking, the Lord would be waiting at 5:30 on the front steps of my house, ready to hear my praise and petitions and to guide my steps—not only for the next hour but for the whole day ahead. How could I stay in bed when God was waiting for me? I got up! The ﬁrst victory was won! During my ﬁrst months of prayerwalking I was too afraid I’d wimp out and jump back into bed if I undressed, so I pulled on lined nylon pants and a heavy sweatshirt right over my pajamas. As it grew colder, I added a coat, a double-layered knit hat, a woolen scarf, and gloves. Frost is our mountain manna about nine months of the year, and I’ve never liked being cold. I look pretty funny when I walk, but it’s no fashion show at that hour, and I stay warm. Yes, it took a friend of mine several months to realize it was I walking early in the morning—he thought I was a guy with all the heavy clothes on. I had thought that I’d be alone with God that early morning hour. At ﬁrst I devoted the entire hour to prayers for my husband, Craig, and for our four children, Rebekah and Justin, both away at college, and Joshua and Bethany, who are still at home. But one morning a couple of weeks into my prayerwalking changed all that. As I approached Toddler Towers, our local day-care center, two cars drove up from opposite directions and parked, almost in sync. In one I recognized my friend Cheryl, ready to open the home-awayfrom-home for a couple dozen little ones. Emerging from the other, a young father swept up his curly-haired little girl, still in jammies and holding her blankie, and handed his sleepy package to Cheryl. I was okay until the bundle said, “Bye, Daddy. Love you.” When I heard those words, the immenseness of my prayer job hit me. My prayerwalk was not just for my family and myself, but also for the many others I would encounter on Main Street. I began to cry—bawl is a better word. I cried and prayed for all the little children and their mommies and daddies, as well as the day-care workers who would mother and teach the children that day. On subsequent days my Personal Trainer opened my eyes to other needs along my path, and I added new prayers. As I passed my church, just a half-block off Main Street, I prayed for our board members, who were desperately seeking direction. I prayed for the other two churches in town, which had their own struggles. I prayed for the owners of the businesses I passed each day, the principals and teachers at our three schools, the commuters leaving early for hour-away Reno, and the men heading for the day shift at the lumber mill. I added the city council members and the county supervisors and other government workers. Soon I discovered a sober truth: I didn’t have enough time to pray for all the needs. The experience was not only sobering but had another effect. “No, Mom,” he said accusingly, “you were singing.” He walked away, shaking his head. He was right. I was singing. I, the one whose usual morning words were only Get up…I said get up…Get up or you’ll be late— and other variations on the same theme—was singing. God had been ﬁlling my soul while I prayerwalked, and I couldn’t hold it in anymore. It occurred to me that my entire countenance—in fact, my entire outlook on life—had changed. Prayerwalking an hour each weekday had transformed my life—in just a couple of short months. On an ordinary morning I made the decision to prayerwalk. On an ordinary morning you could do the same and thus change your life in similarly dramatic ways. Walk with me. Walk with me over city streets, small town paths, and country roads. Let me show you how one daily decision can make a difference for our world. Walk with me through joys and sorrows, through hopes and fears, through laughter and tears. Let me show you how talking with God each day will be better than extra sleep. Decide to seek a healthier lifestyle, and let me prove that “discipline” can actually feel good. Join me and our Personal Trainer…and prayerwalk your way to physical and spiritual strength. Notes Excerpted from PrayerWalk by Janet Holm McHenry, Copyright © 2001 by Janet Holm McHenry. Excerpted by permission of WaterBrook Press, a division of Random House, Inc. All rights reserved. No part of this excerpt may be reproduced or reprinted without permission in writing from the publisher. 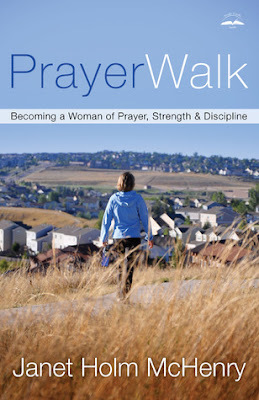 PrayerWalk by Janet Holm McHenry is a great book if you're thinking of prayerwalking for yourself. This is something I've wanted to do for a while now, and have done occasionally... but I'm glad I had the chance to read the book before I made a commitment. There is so much to think about. Not that you have to be a perfectionist or anything... it's not a list of to-do's... just that the book gives great tips and good advice before beginning. Such as; bringing water, what shoes to wear, clothing, safety, and prayer. Great advice on prayer. The author shares her personal experiences of her first years of PrayerWalking. She explains in detail the benefits, physically and spiritually, as well as the challenges. This is not a book that just says "Now get out there and do it! ", the author has done her research. And much of her knowledge comes first hand. I enjoyed reading this book. It has motivated me. I was reading another book about walking WITH God, not ahead or behind, so when I saw this book.... I knew it was my answer to prayer. I'm ready for a deeper prayer life... I'm ready to walk with God. *Thanks to WaterBrook Multnomah Publishing for providing me with a free copy of this book for my honest review! Celebrate Independence: Start a Micro Business!